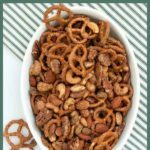 This Sweet and Spicy Pretzel Nut Snack Mix is a popular cocktail party snack to make and have on hand for holiday nibbling! Uh-oh! 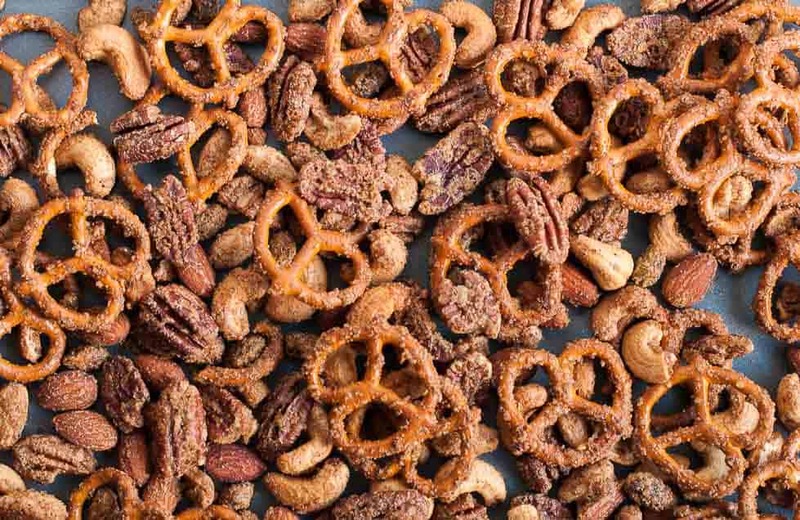 We’ve gone through two batches of this holiday Sweet and Spicy Pretzel Nut Snack Mix already and it’s only November. 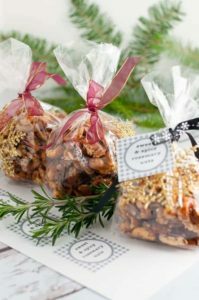 Every holiday season, I make a big batch of Sweet and Spicy Rosemary Nuts to have on hand for casual snacks. Sometimes I package them up for gifts for neighbour and friends. This year, I decided to try something different. I discovered this recipe from David Leibowitz, first published in 2006, that has obviously withstood the test of time. 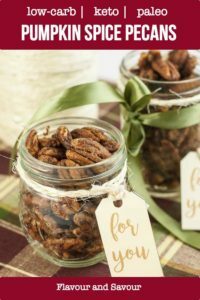 Nut mixes at Christmas time are a holiday tradition! When I was a little girl, we always had a bowl of nuts on the coffee table at Christmas time. Almonds, filberts, hazelnuts and walnuts–all in their shells–sat waiting for us to crack open with an awkward metal nutcracker. It was tedious work for small hands, but getting the nuts out from their shells was kind of fun. In retrospect, it was a good way to avoid overeating. 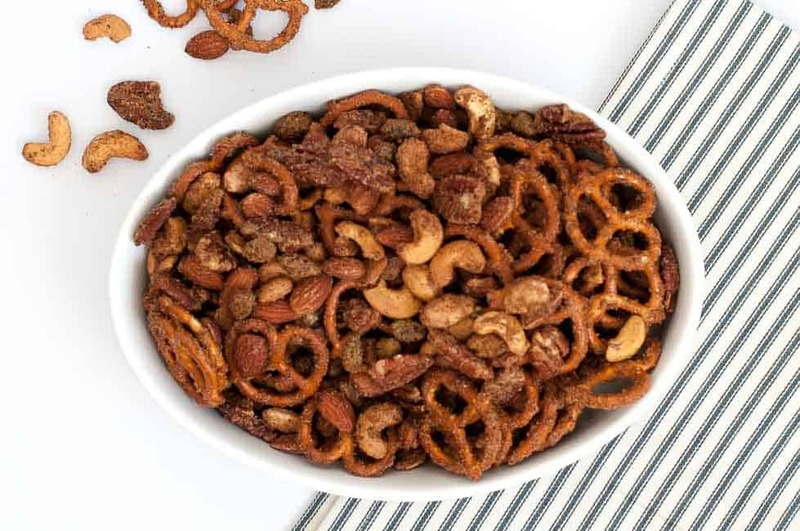 It’s much easier to grab a handful of this gluten-free snack mix! 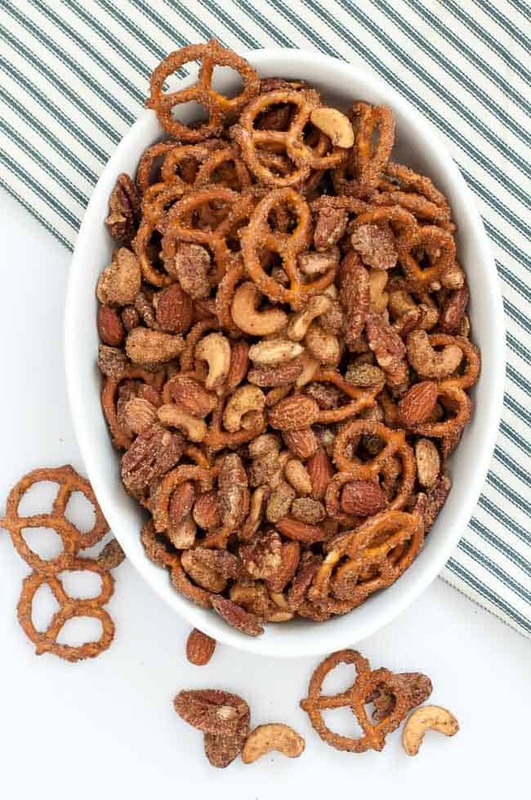 This party food is delightfully addictive, but a small handful totally satisfies. 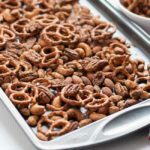 Hostess gift, teacher gift, or just for your own snacking needs, I hope you get a chance to make a batch of this Sweet and Spicy Pretzel Nut Snack Mix this holiday season. 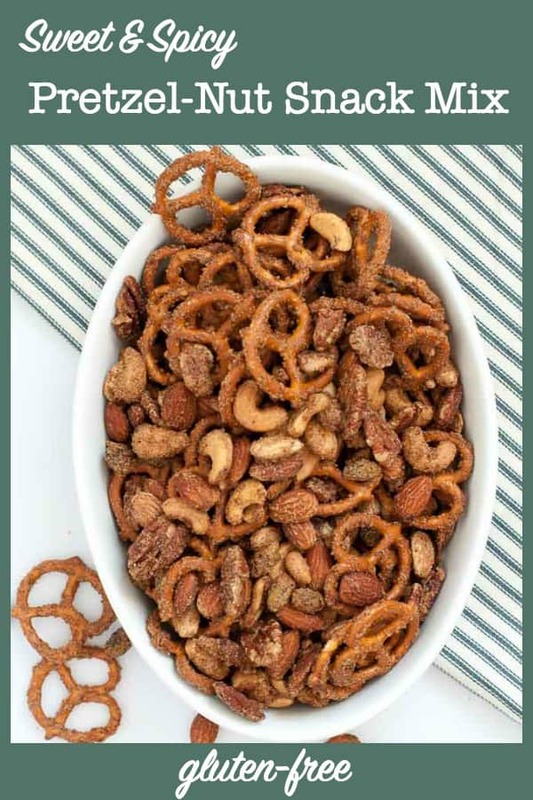 A quick and easy pretzel-nut snack mix recipe! Roast raw nuts in the oven. Combine butter, brown sugar, cinnamon, cayenne and maple syrup in a bowl. Add the roasted nuts and stir. Add pretzels and coarse salt. 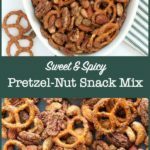 This Sweet and Spicy Pretzel Nut Snack Mix is a popular cocktail mix to make and have on hand for holiday snacking! 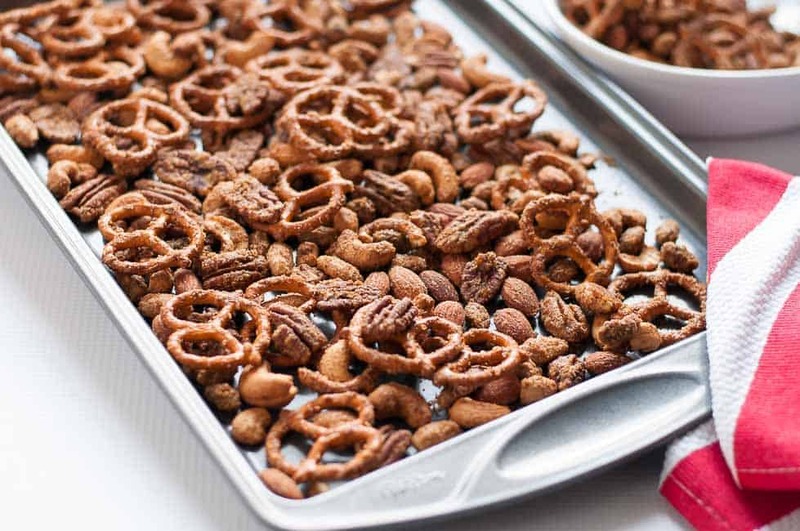 Mix raw nuts, brown sugar, cinnamon, cayenne, maple syrup and flaky sea salt along with the pretzels. Addictive! Heat oven to 350°F. Spread the nuts on a baking sheet and roast for 10 minutes, stirring half way through. 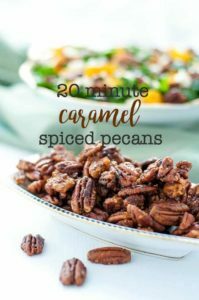 In a medium bowl, combine the melted butter, brown sugar, cinnamon, cayenne, and maple syrup. Add the warm nuts, stirring to coat. Next add the pretzels and coarse salt, and stir until coated. Spread the mixture on the baking sheet and bake for a further 12 - 18 minutes, stirring twice during cooking to ensure even toasting. Remove from oven, cool completely and separate the pieces. Store in an airtight container. 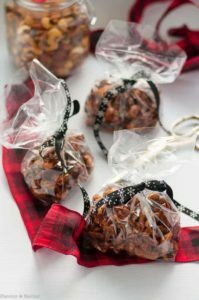 If you like party mix recipes, try these ones too!